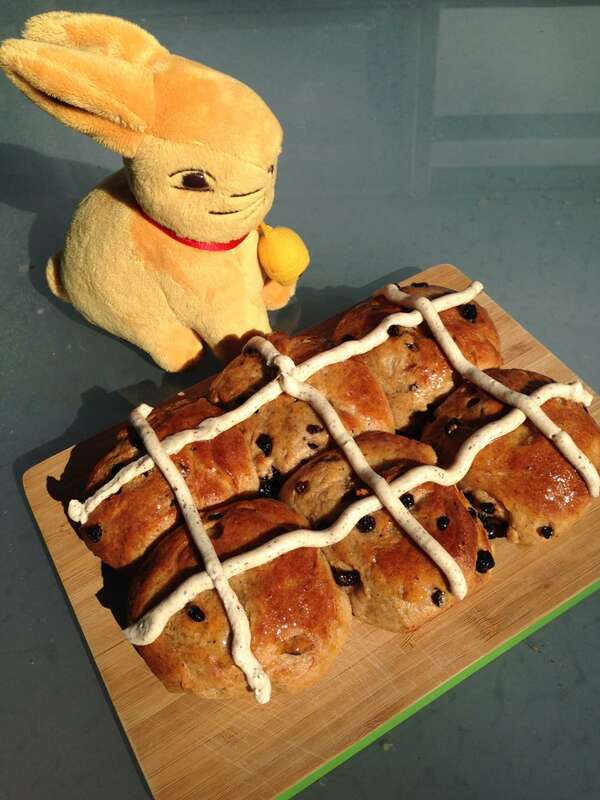 Well first I think chocolate & then I think buns – Easter buns that is 🙂 I used to make the normal fruit buns, and they are so awesome when you make them yourself, but as my son says “that’s too main stream”. So here is my current list of hot cross bun flavours for you to try. I have done away with the boring flavourless crosses too & replace them with much more delicious versions! Now onto the chocolate, well I got some awesome chocolate from the Nutpatch – see the photos from my photo shoot there a couple of weeks ago. I do love making Quirky Cooking’s raw chocolate recipe too & I sweeten it with honey. I normally make it with my nephews but they are away for Easter this year! Try making your own Choc hazelnut spread from the basic cookbook – it makes a wonderful Easter gift. 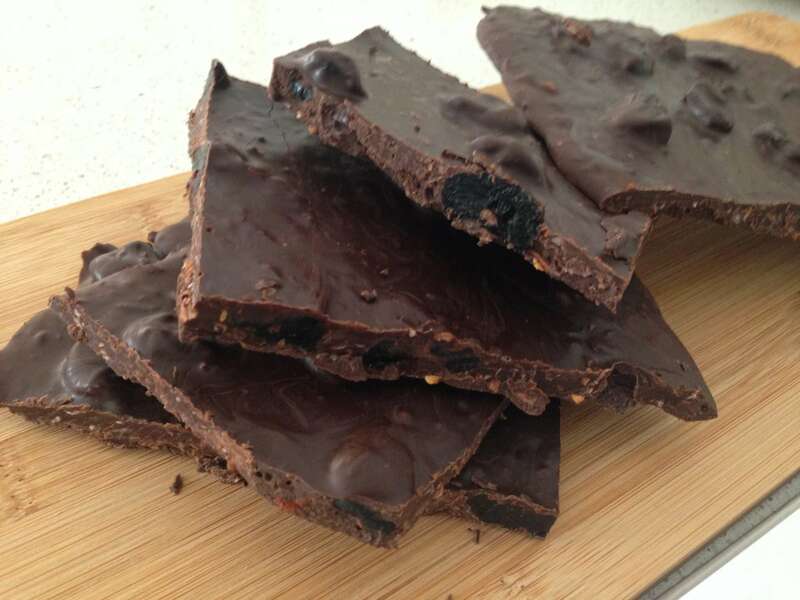 Or don’t forget the Chocolate Chilli Cherry Ripe recipe from Dani Valent that’s from In the Mix 2!! Watch the video here. When I was in Sydney I got my very own special Lindt Easter Bunny!! Where ever you are this Easter, you are bound to have an awesome Easter!! 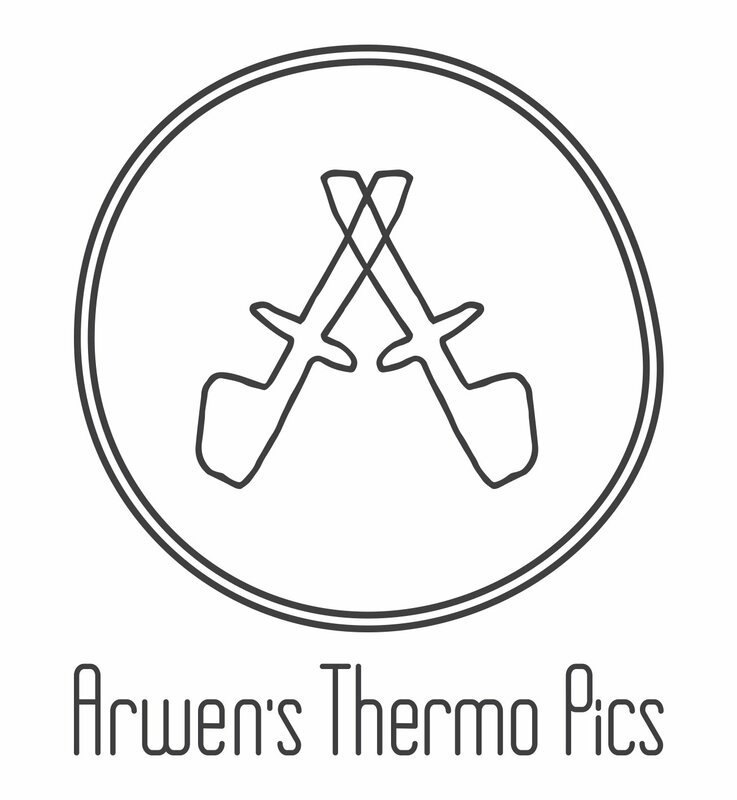 I hope you enjoy some rest, relaxation & delicious food cooked from scratch. 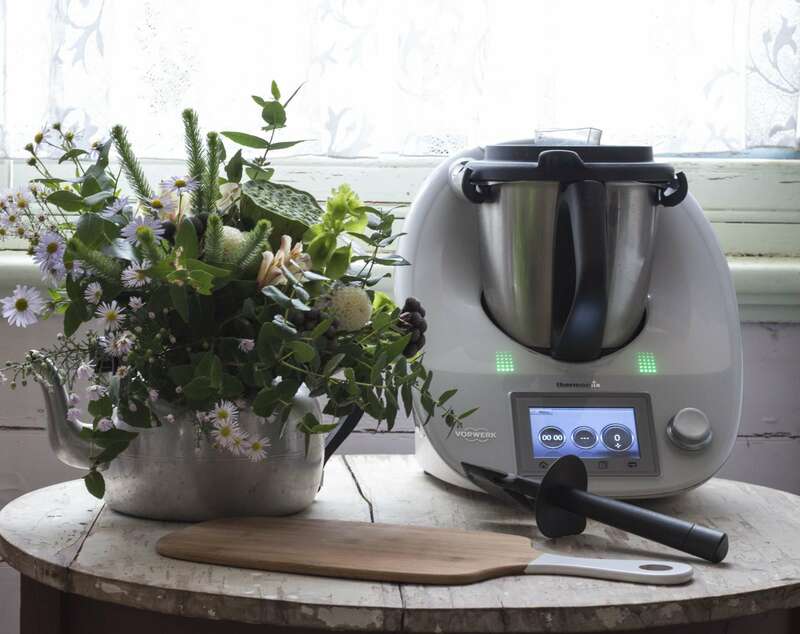 Happy Thermomixing! !